Unless you have all of the wiring I would consider a preset thermostat to cycle the clutch. Same goes for the HPCO. They are universal options which might be the best route if all the wiring is not available for the truck. Which is what I'm assuming since you are asking how to plug these connections together in the first place. All the parts would include the climate control, amplifier box, and the wiring harness, do you really have all the parts? This is just under the dash, of course, even more stuff under the hood. A service manual sure helps. And if this system was left open for awhile, could be history, never reuse an old receiver. If converting to R-134a, not recommended, will even have more problems. The PDF 16873 can be the right way to install these system? @ NickD please can you explain me why "never reuse an old receiver"? What is the problem you talking about? I dont know what type of GAS was in the system before; its absolutely necessary to convert to R-134a? In your PDF I do not see any wiring what so ever. As Nick stated, do you have all the wiring and modules to control the computer and various other components? If not I return to my original statement. That evap assembly looks like it needs a cleaning and I would check it for leaks before installing. Original system was R-12, Toyotas' do not convert very well to R-134 for this era. Receiver has a dryer element that would be well saturated at this point, even good to change it when opening the system for any reason. Did this system have a charge in it when you removed it? It does look pretty bad to me, (and Tim), could be a long time consuming effort. System is already over twenty years old and can only wonder how many miles on it. Clutch wear on the compressor is also a good sign for excessive wear, can you even hand turn the compressor? Should rotate with very little effort, like less than a couple of foot pounds of torque with no drags throughout the rotation. Furthermore, in that era, was quite common for dealers to install AC systems from a factory kit, that evaporator housing can be of some value to you. Can buy a new evaporator and a TXV from ACKits and make it like new again. Thank you for reply; I'll do what do you say me. We don't ship outside the US. But I would suggest checking all the parts for their usefulness. Whoops, didn't catch that Country of Origin: Italy, I have heard of Italy. 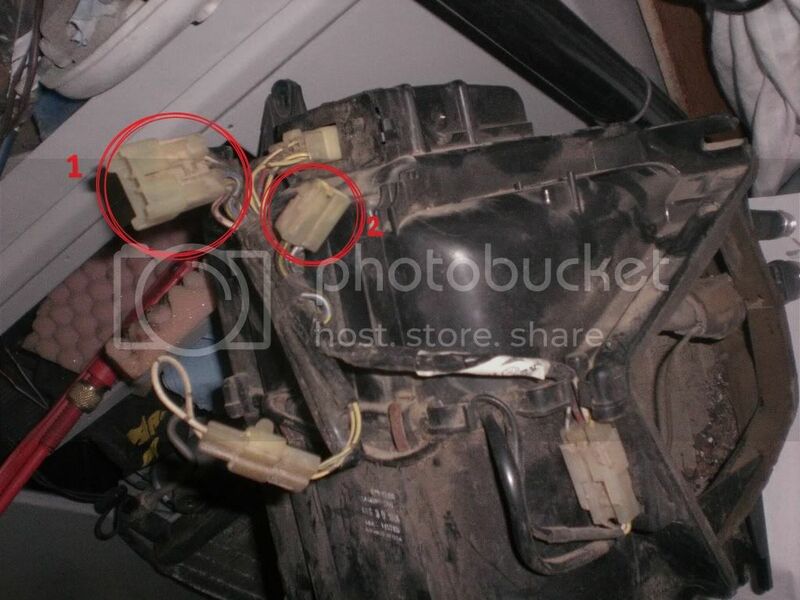 The dealer kit included a wiring harness that connects all the A/C parts together, then plugs into the truck harness at one or two points. It appears that you are missing that part.